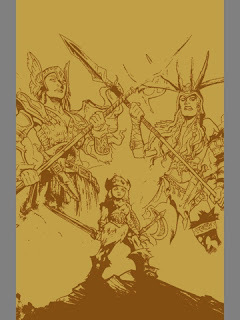 Ulga is a princess in a mountainous kingdom where everyone is trained to be a warrior since they are wee liddle lassies. It's a Viking like culture and the luxuries and pampering that other princesses normally enjoy are non-existent here. Ulga decides she wants to attend the princess academy after making a promise to her dying mother. Only problem is, this academy is like high school and all the other shallow, vapid princesses are mean to Ulga. The story is nice because it's all about being different and learning to find common ground to try and get along with people; for the start of a series, this looks really promising. 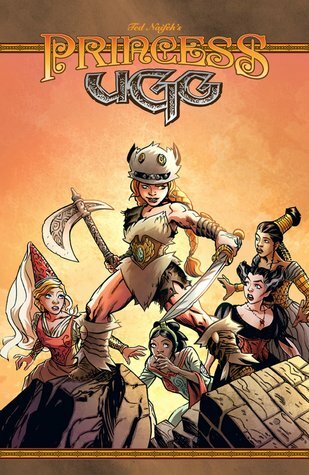 I can't wait to see where Naifeh takes this warrior princess meets fairy princess storyline.